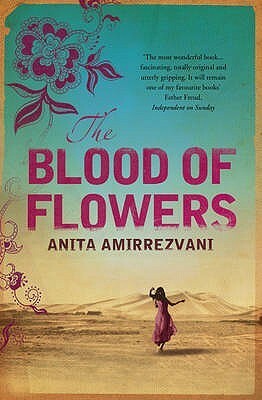 A young girl and her recently widowed mother, without a male family member to tend their fields, have to leave their home village to seek the protection of her father’s half brother, a carpet maker, in 17th century Isfahan. He and his wife taken them in, but they are treated like servants. The aunt is manipulative and resentful of their presence but the uncle recognises the young girl’s talent for carpet design and teaches her because he has no sons to pass his skills and business on to . Her skills increase and he lends her money to craft her own rug for sale, the sale of which will start to raise money for her dowry. In a moment of frustration with the quality of her work and choices of colours she cuts all the knots, shredding and wasting lots of expensive wool. Without dowry money her marriage prospects are non-existent and she ends up in a secret, although legal, temporary marriage, a sigheh, with the son of a horse trader. Effectively her family have sold her virginity for money on a renewable 3 month contract. She gradually realises just what is really required of her in this arrangement and her contract is extended for a second period securing her and her mother’s wellbeing for a bit longer. However, she has always been a headstrong child and realising that she is being used by her husband who has no intention of making her a proper lifetime wife, declines the next extension. Retribution by her husband’s new wife and their social circle, the consequences of having kept the sigheh secret from everyone not directly involved, see strains put on the family’s rug business and without male protection and without money, the girl and her mother find themselves on the street without money having been tricked out of the payment for her rug by a Dutchman buyer. Finding shelter with a poor family and with her mother becoming sick, she risks everything in an attempt to keep them alive and to survive. This a coming-of-age tale which sees the girl, unnamed throughout the book, transform from a headstrong child, doing the rash and impulsive thing without thinking of its consequences, into a bold and determined young woman in charge of her own future. It has all the twisted turns in fortune as seen in the knotted threads of one of the carpets so vividly described in the book – her change in circumstances in her uncle home, the vindictiveness of her aunt, the opulence of her husband’s home, the squalor of loom worker Melaka's one room shack, her insightful relationship with Homa the woman who runs the hamman, her friendship with the neighbour's girl Naheed, how she learns the tricks of how to survive begging from the blind beggar – all these experiences knot together to form the up and down pattern of her life. That life story is interspersed with folk stories, told mainly by her mother, to build up as rich a storyboard as any Persian carpet’s design. Here in this carpet lives an ever-lovely spring; Un-scorched by summer’s ardent flame, Safe too from autumn’s boisterous gales, Mid winter’s cruel ice and snow,’Tis gaily blooming still. Eyes hot-seared by desert glare find healing in its velvet shade. Splashing foundations and rippling pools, In cool retreats sore-wearied limbs restore, And tired hearts awake with joy once more. The way was cruel. Baffled by monotony and mocked by phantoms delirious, Beset by stalking Death in guises manifold; The dreaded jinns, the beasts ferocious, The flaming heat and the exploding storms; Form all these perils here at last set free; In the Garden all find security. Here the long-laboring Earth at last gives birth. From apparent death, a new and lovely world is born; Below the desert’s dusty floor, the jacinth imprisoned lies. The stony wilderness so bleak and bare, In ageless patience broods, aware of a life within, the promise of fertility and abundance. Ever longing for deliverance. The world at last reveals its destiny. Can we not then capture and restore The loveliness that gave us hope, Still brightly mirrored on memory’s gliding waters Or snared in the poets’ invisible net, So wide, so fragile, Yet captor and conqueror of realities elusive? Wrought in gold and azure, bright as carved metal. Dream-like foliage in sparking tones is caught, Or else, in sumptuous shades of glossy lacquer, Quiet but intense; in muffled browns and honey pure, Jasper cool and mellow cinnabar, That fairy land comes real again. ashramblings verdict : 4* This rapid read will ensure that you’ll never look at a Persian carpet the same way again!